The GIST here shows prominent staghorn vessels, which may suggest the possibility of hemangiopericytoma. 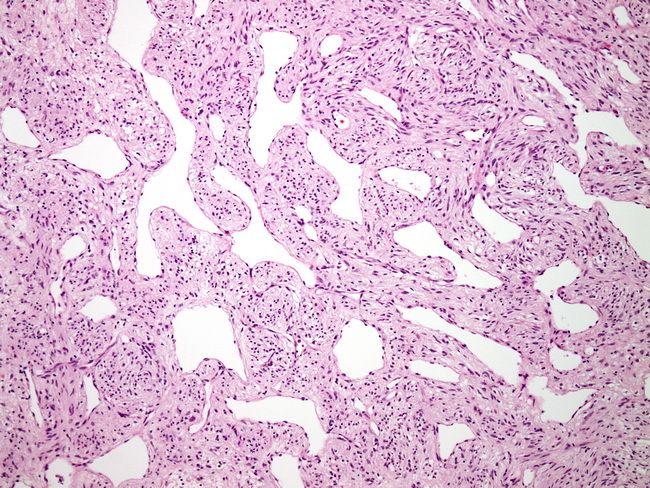 As both tumors can be positive for CD34, additional immunohistochemical studies would be required to differentiate the lesions in histologically ambiguous cases. CD117 and DOG1 are positive in GIST and negative in hemangiopericytoma.